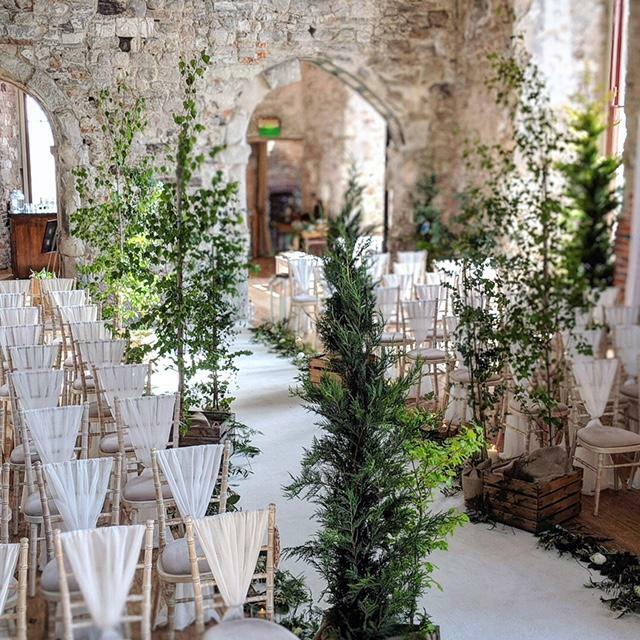 Lulworth Castle Twilight dream wedding! 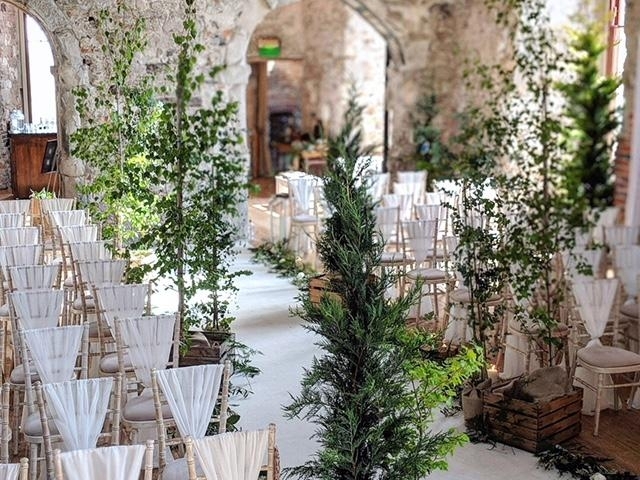 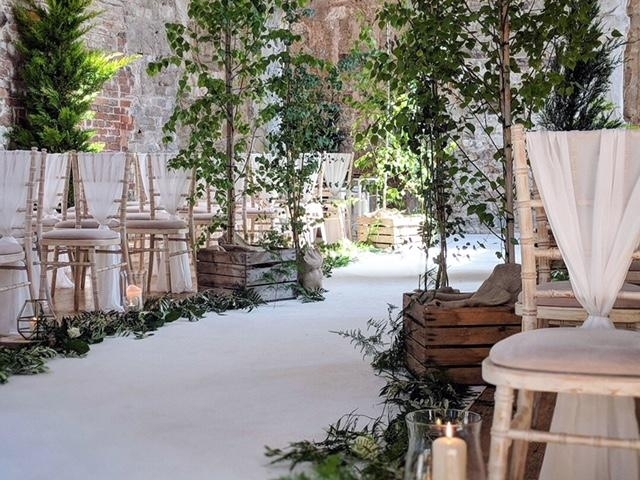 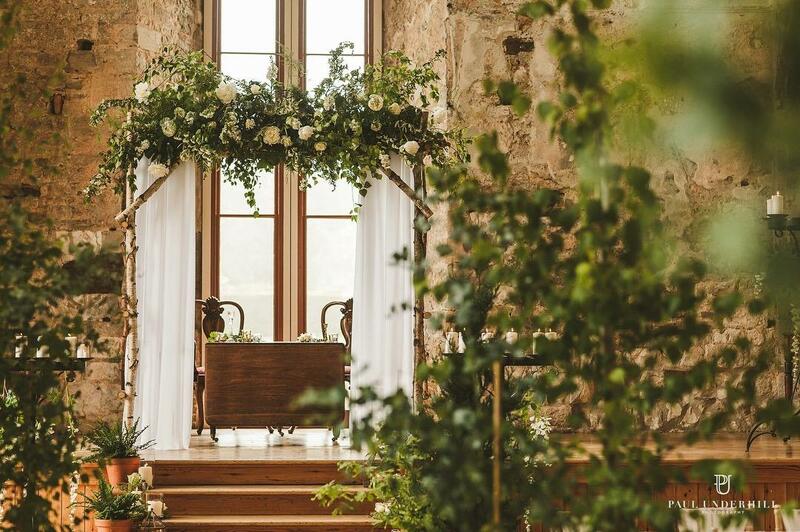 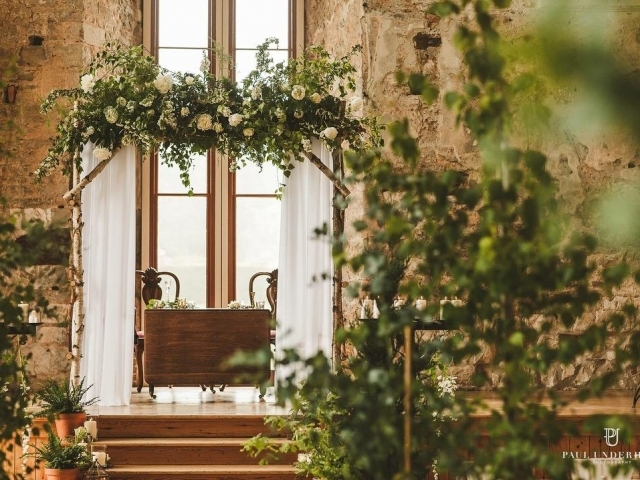 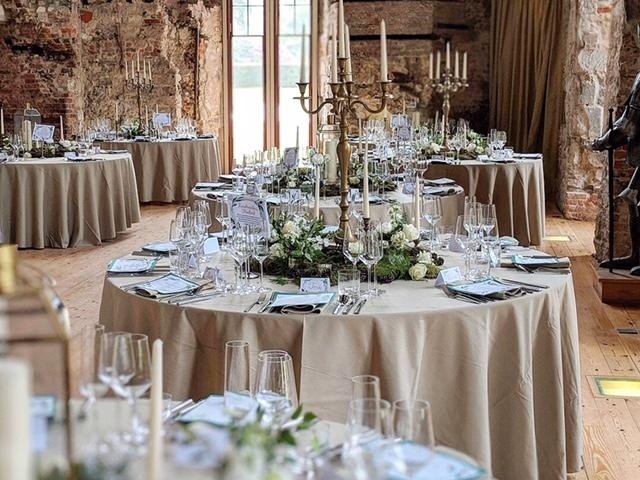 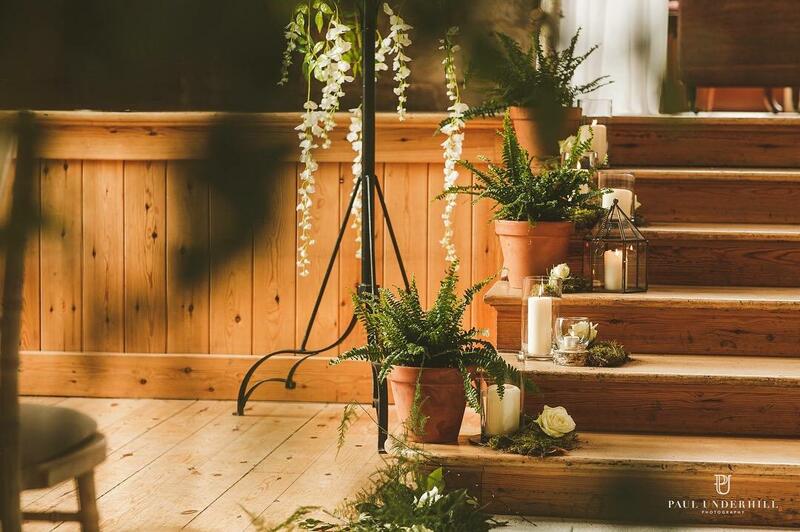 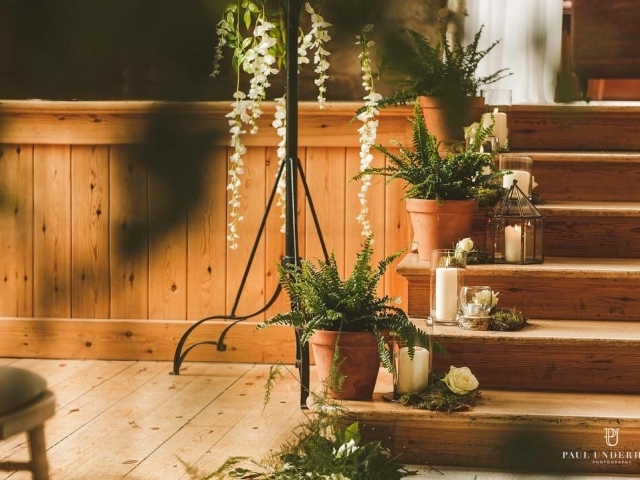 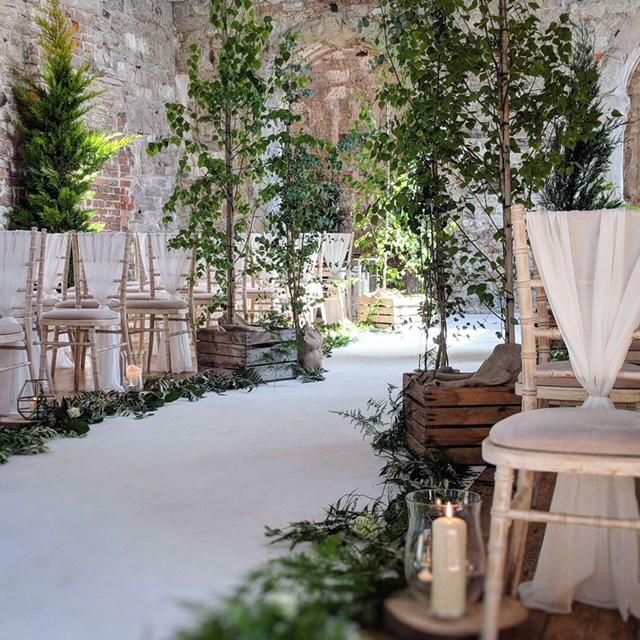 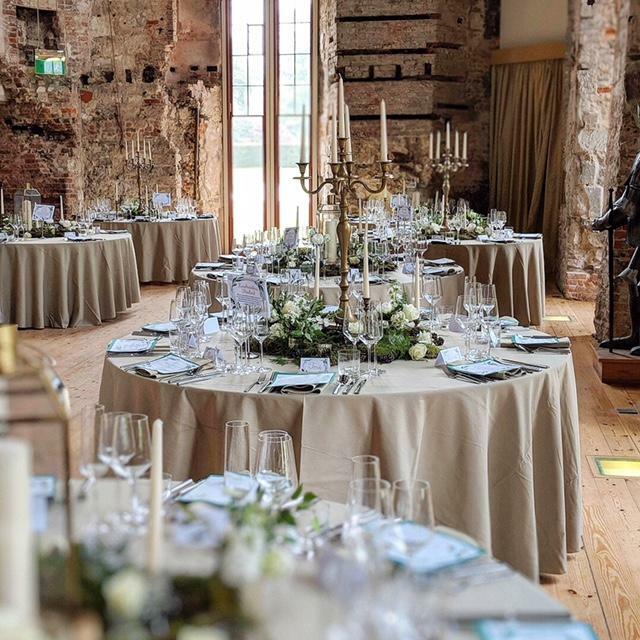 I’ve been wanting to use tree’s at a wedding for so long and I finally got the chance at Lulworth Castle… Silver birch with tall cypress tree’s, beach and eucalyptus lined the aisle, wrapped up in hessian and wooden crates… the steps leading to the ceremony area were styled by the fabulous Linen and Lace with awesome candles and fern plants… this lead the my hand made birch arch with white drapes and wild foliage arrangement… I really let the foliage and flowers do the talking with this design keeping it free flowing and natural! 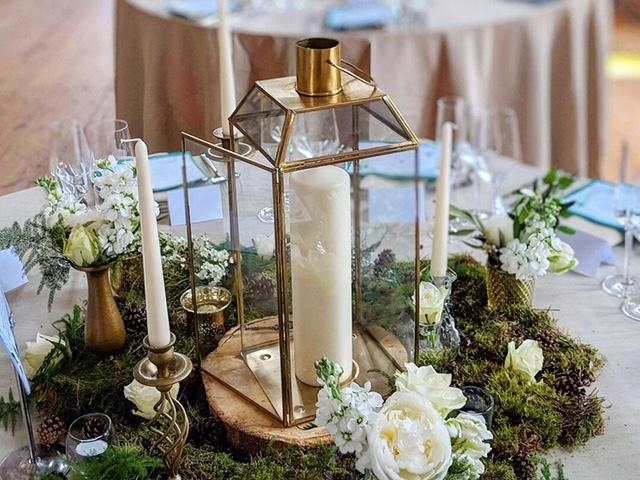 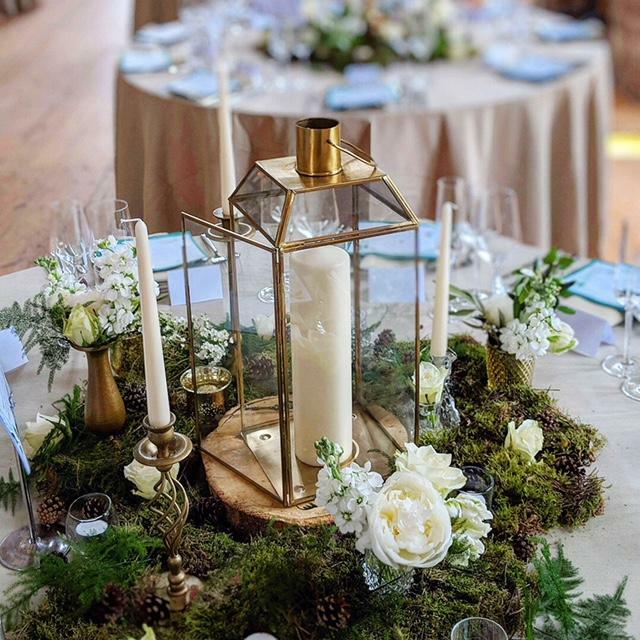 The reception had so much attention to detail with gold candelabras, gold lanterns and candle light styling by Linen and Lace… the tables were covered in moss with tiny foraged pine cones, crystal but vases and gold vases of flowers, plus sprigs of fern and roses heads here and there… I was completely in love with the whole setup, so excited and so happy with the results!